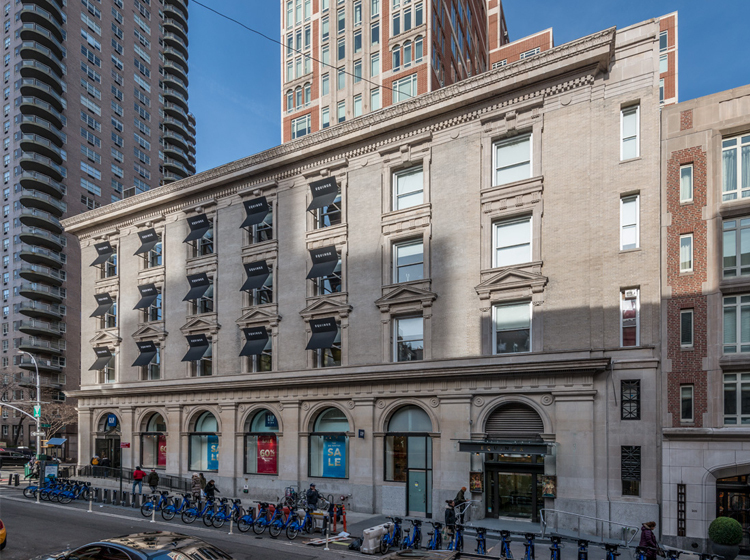 Yorkville Bank Building at 1511 Third Avenue was designed by architect Robert Maynicke in 1905, and expanded by architect P. Gregory Stadler in 1923. 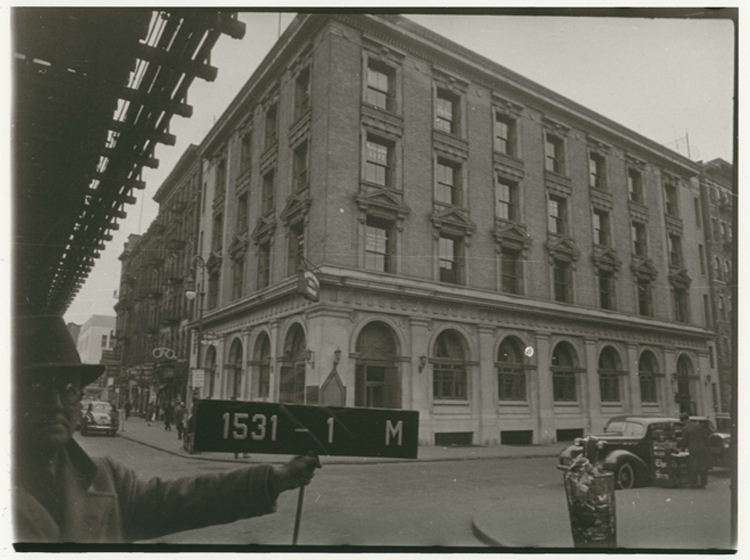 The New York City Landmarks Preservation Commission designated the Yorkville Bank building as an Individual Landmark in 2012. In 2014, the building’s owners engaged Bone/Levine Architects to develop an exterior restoration program, which was completed in 2016. 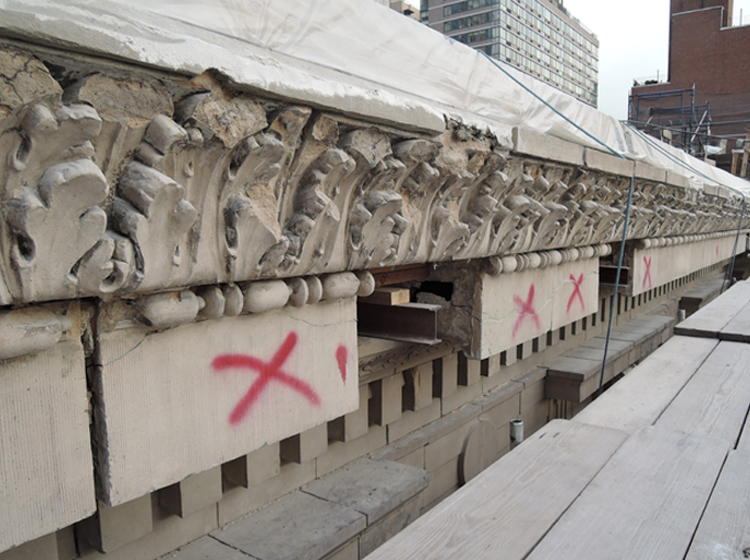 The major focus of the restoration project was on repairs to the building’s deteriorated terra cotta cornice and monumental terra cotta & brick parapet and steel armatures backing the cornice, in connection with a comprehensive waterproofing program. 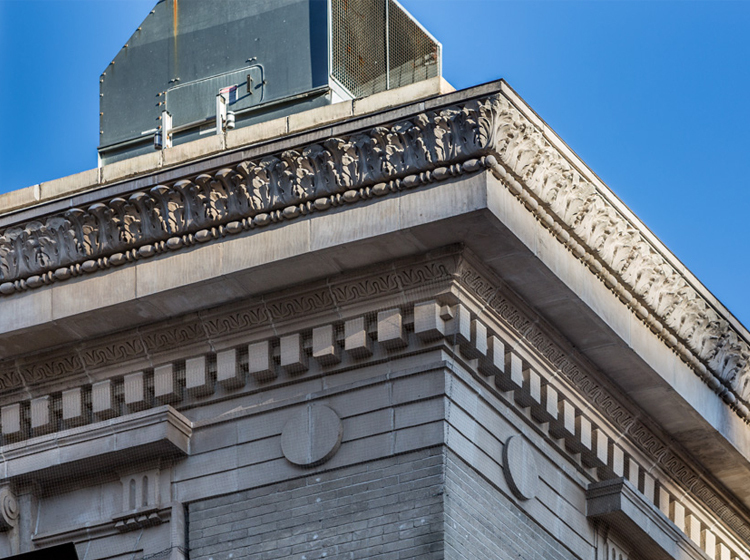 Equally important was the removal of layers of paint from the building’s façades, accumulated over the years of cosmetic repairs, which were inhibiting the exterior walls’ breathability, and causing moisture damage to the materials. 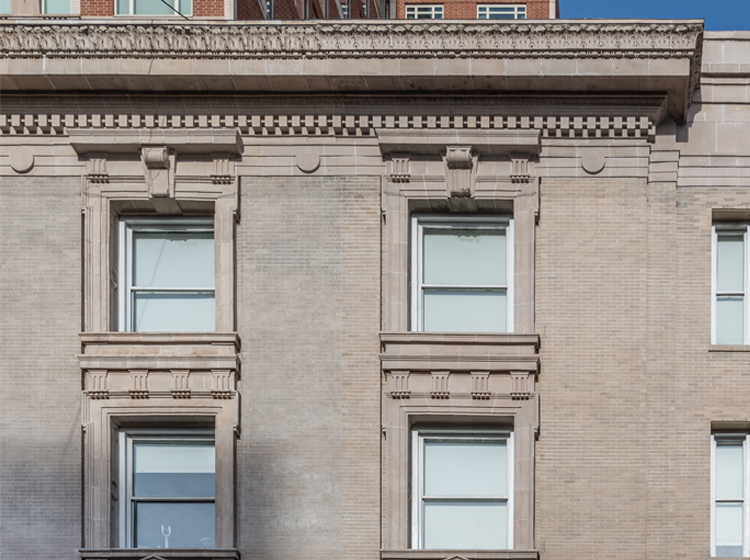 Cleaning the façades rehabilitated the masonry’s integrity, and restored the original aesthetic conditions. The paint removal revealed damaged terra cotta and limestone, which were repaired utilizing various preservation methods and materials, including patching, pointing mortars, Dutchman, and localized pinning. 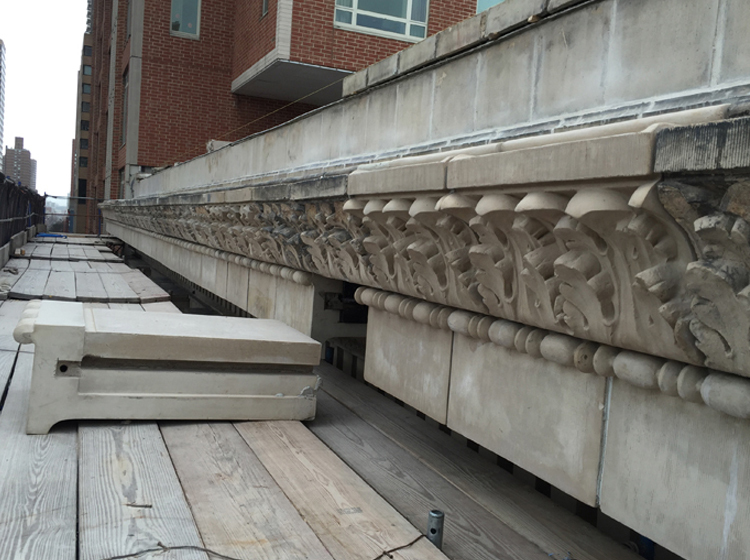 At the upper cornice level, severely damaged terra cotta units were replaced with Glass Fiber Reinforced Concrete (GFRC) units, and their steel armatures were also replaced. 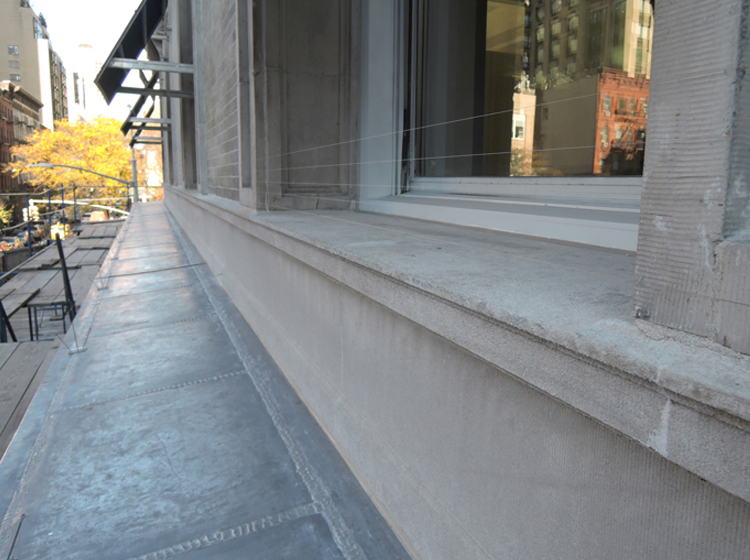 A new, state of the art bird deterrence system was installed at the projecting ledges, cornices, window sills, and other target areas, replacing the old “pigeon spikes system”. Repairs to select areas of the building’s east and north lot line elevations and roof level bulkheads included repointing open mortar joints, reconstructing a portion of the east parapet, and replacing the bulkhead roofing and cladding. 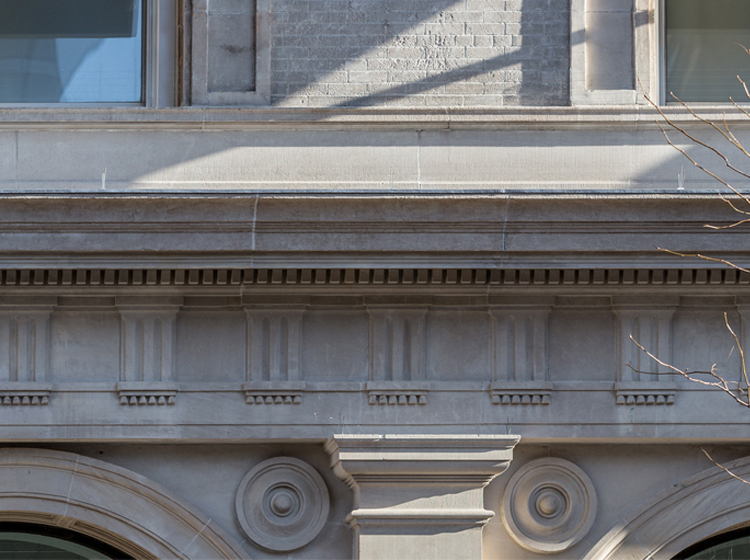 Bone/Levine Architects approached the façade restoration with a similar philosophy of restraint and respect for the original design and materials. 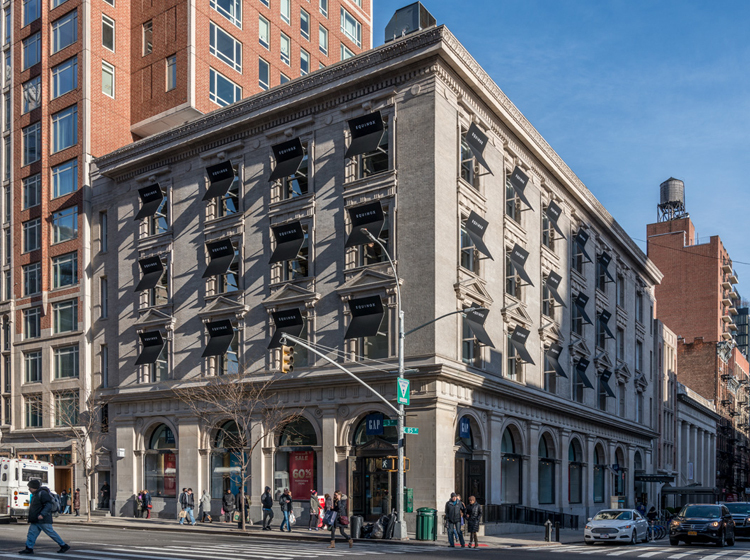 Working with The New York City Landmarks Preservation Commission, Bone/Levine Architects strived to restore the building by preserving the design intentions of the original architects and the integrity of the materials they selected.